(October 2005) New England is rich with history, culture and talent. Throughout the year, major events occur within in each state that not only enhance the quality of life, drawing considerable national and international attention. From theatre to music, from art to sport, and now film, New England is a treasure chest. Enter the Bethel Film Festival in Bethel CT. bringing international and independent film to western Connecticut. Slated for a six day run October 25-30th, the ambitious first year launch will feature workshops, panel discussions, world cinema and more. With a mission of offering “a rewarding, entertaining and educational experience for independent filmmakers and their audiences,” the festival also hopes to contribute to the overall regional culture, commerce and tourism. With 250 entries received for this year’s premiere effort, films have come from 15 countries, including Japan, France and Italy. Categories include Feature films, Documentaries, Animation, Short, Student and World Cinema. So who are the people behind this venture and why did they create this new festival? First, let’s look at the lead players. “When I was eleven years old, I spent my afternoons watching The 4:30 Movie on Channel 7. Everyday after school, I would experience the enormous range of human (and monster) emotions. On the herculon couch in my family rec room, I was mesmerized by the characters on screen and would sink into the world the director had created for me. No cinema verite and social realism here, just 90 minutes of syndicated escapism bringing me the best of special effects, movie star actors, Hollywood sets, costumes and locations. “I don’t claim to be an expert about film and I’m not a collector of memorabilia about film. My relationship with movies/film has been one of a spectator/appreciator. “My appreciation for film began at a young age. I grew up in a big family whose normal everyday conversation was comprised of movie lines from the likes of “Stripes”, “Caddyshack”, “Night Shift”, “Mr. Mom”, “Young Frankenstein”, the Monty Python movies, and the list goes on. Cleverly written comedies have always risen to the top of my favorites list. “My passion for film began after spending nearly a year of my life working the 2nd shift at a well known national video store chain. Picture this - a mildly depressed, underachieving college graduate staying up until 4am every night watching movies. Oh, how I miss those days. I had a two-film-a-night habit – what can I say, they helped me unwind. Sure, I could quit anytime I wanted to – and I did, the job that is. Over 500 films later and increasingly disenfranchised with the corporate video store scene, it was time to move on, but my relationship with film had turned a corner. I stopped judging films for not being “artistic” enough. I recognize film as an artistic medium, but I mostly appreciate it for how it illustrates the multi-faceted human spirit. I believe most films have “something” to offer. My favorite films include, but are not limited to, “To Kill a Mockingbird”, “Mystery Train”, “Usual Suspects”, “American Beauty”, “High Fidelity”, “Office Space”, “Home for the Holidays”, “Dead Poet’s Society”, “Better Off Dead”, “Rushmore”, “La Femme Nikita”, “Blue”, “Red”, just to name a few. Some of my favorite directors are Jim Jarmusch, Joel and Ethan Coen, Jonathan Demme, Wes Anderson, Tim Burton, Terry Gilliam and Alfred Hitchcock, among others. “Going to the movie theater by my self is a preferred past time, I’m one of the few people I know who actually prefers sitting in the front rows – I don’t want anyone or anything to interrupt my film going experience. Film has given me the opportunity to explore new dimensions in a limited time and for a small fee – and I’m a frequent flyer. While living in Boston, I soaked up the added independent and foreign film offerings – I was in heaven. After relocating back to Connecticut, and calling Bethel home for over 6 years, the Bethel Cinema was a refuge for me. “Where to start… I LOVE movies, always have, always will. I own dozens of books on film and film criticism and very often plan my Sundays around watching Ebert & Roper (I still remember Siskel & Ebert as the original hosts of Sneak Previews on PBS); In college, I wrote movie reviews and formed opinions of would-be girlfriends based on the types of movies they wanted to see; I collect movie posters and memorabilia (including a 4x6 blow-up of a Marx Bros. still from their first film, Cocoanuts); I am always suspicious of remakes and I've probably seen Casablanca and Citizen Kane at least 25 times each. There are five individuals working as screeners with the Festival. Each bring a unique perspective to the event and complement the overall vision of the evolving festival. • John Grissmer of Ridgefield, CT, has served on Theatre Arts faculties at American University, The University of CT, and Xavier University. His feature film credits include “The House That Cried Murder” (producer/writer), “Scalpel” (writer/director), and “Bloodrage” (director). His plays “Glorious Noise”, “The Perfect Game”, and “Scandalous Mary” have been well received locally and regionally. 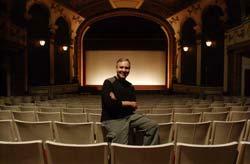 Grissmer has produced plays Off-Broadway, and has directed at The Ridgefield Theater Barn. He is currently writing music and lyrics for “Heaven, Please Hold”, a metaphysical musical comedy. • Peter Lerman of Bethel, CT, is a native New Yorker and a former School of Visual Arts faculty member. Peter owned an award-winning commercial photography studio in New York City for ten years shooting for major national advertisers and magazines. He was also a talent agent and partner in Rogers and Lerman Model and Talent Management, representing performing artists in all media. Peter was a featured guest speaker at talent scouting conventions around the country and was profiled in Cosmopolitan Magazine. • Suzanne Mortati of New Fairfield, CT, was an account executive at Silvercup Studios in New York, where she was involved with the daily troubleshooting of motion picture, television, commercial production, music video and still photography accounts. She participated in the negotiation of studio contracts and coordinated the scheduling of all studio rentals. Now a landscape designer, Suzanne is still a film lover and is currently pursuing another relationship with film, this time as an artist. • Linda Sobo is a psychotherapist who resides in Newtown, CT. A published composer of children's choral music and an avid film enthusiast, Linda is a past musical director for the New Milford TheatreWorksKids summer program. She has two sons, both of whom work in music and film. • Carol Tambor is an avid New Yorker, with both an apartment and art studio there. She is a full time painter, working primarily in oil, creating landscapes, still lifes and portraits by commission. She studied at the National Academy of Design with Sam Adoquei. An ardent film and theater viewer, Carol’s love of theater resulted in establishing the annual Tambor Award at the Edinburgh Festival Fringe, the largest arts festival in the world. This award brings top dramatic works from the festival directly to New York in a fully realized production. She lives part time in Sherman, CT with Kent Lawson and her puppy, Bacchus. I recently spoke with the principals behind the festival and was able to glean a bit more about their drive being creating this event. Answering my questions were Peter Howland with a bit of help from Carol Speigel. GTM: What were the motivating factors that lead to the creation of this festival? BFF: There were several reasons why we wanted to do this. First and foremost, though--we all love the movies, especially independent film. All of us who are organizing and promoting this festival love watching indies and are happy to support them. Second, we are all very independent-minded people who happen to like a good challenge. We knew this wasn’t going to be easy but if not us, who? Third, we love Bethel and wanted to bring the excitement of an international competition here to our town. It’s also a great opportunity to showcase Bethel as more than just a charming New England town, which it is, but also as a viable location that will support this kind of event. In doing our due diligence, we realized that we have a very solid base of dedicated independent filmgoers, plus a great primary venue right in our own backyard -- or downtown, to be more precise. When we approached the Bethel Cinema on this last October, the owner (Paul) was not only interested but had a new marketing person on board (Carol) who was thrilled to make the festival her new focus. So we joined forces and the rest, as they say, is history. GTM: Who are the principal players and what do they each bring to the table? BFF: In addition to the five partners, another key player is our design director and Web master, Rob Wallace, who really helped bring our concepts and visions to life. Rob was recently tapped to be VP of Communications for Keep America Beautiful. We also rely heavily on our many volunteers, with additional support from our advisory board, which includes filmmakers, film professors, festival veterans and others involved with promoting regional culture and the arts. GTM: What do you hope to achieve this first year out with the festival and do you have a long range vision for where you'd like to see this event head? BFF: Our year-one objectives are to secure a diverse slate of quality indie films and filmmakers and, of course, to fill seats. The first part is done, so now I guess it’s up to all the people who enjoy independent film to come out and see what we’ve put together for them. After this one proves successful, we plan for this to be an annual event that gets bigger and better with each passing year. GTM: How have been advertising this event and what sort of response have you been getting? BFF: We’ve been somewhat grassroots yet very methodical about getting the word out, relying more on PR than paid advertising. This mix of online and onsite marketing plus a lot of press exposure has worked quite well, as evidenced by the nearly 30,000 visits our Web site has received. Post-Labor Day, we’ll be filling in with posters, lawn signs, a billboard, more save-the-date cards, among others things, plus more publicity. GTM: Do you have any role models, i.e., festivals that have inspired you, that have helped you in the creation of this event? BFF: Not really. Most people probably think of Sundance as the epitome of a festival embracing indie films and filmmakers in a non-urban setting, but that event is well beyond the reach of most of us. Instead, we looked at some smaller-scale festivals or ones that had a good vibe about them, but none really matched what we’re trying to do as far as a small town hosting a big event. We did have the sense, however, to get some advisory assistance from some established festivals, like Newport and St. Louis. GTM: I noticed that you've brought on board an eclectic group of judges to the fest; how did you find them and what do they bring to the Festival's mission? BFF: Finding the right mix of judges was a collaborative effort, but we all thought it highly important to have a varied and interesting roster of credible, credentialed persons, especially as a first-year event. This meant using public and private contacts to tap filmmakers, film reviewers, film professors and others. To our happy surprise, most of those asked consented. We are particularly pleased to have Daniel Minahan as a features judge. Known for his script work on I Shot Andy Warhol, his writing/directing of Series 7, and his directing work for episodes of HBO’s Deadwood and Six Feet Under series, Showtime’s The L Word, it turns out that Dan went to the same high school (Danbury) as one of our partners, Eileen. She asked and he was gracious enough to accept. GTM: How are you getting most of your entrants for this year and how have they found out about the Festival? BFF: As far as entrants go, it was a combination of online calls for submission, word-of-mouth, and reaching out to certain filmmakers whose work we were interested in showing. By and large, we received the most submissions from Without A Box, but in terms of what we ended up selecting, these other methods were just as important. With the help of her six-plus-person screening team, our programming director (Carol) was able to cull nearly 300 submissions down to approximately 50 programmable selections. GTM: Do you have any projections for attendance this year and if so, what would be your optimum turnout? BFF: We’re expecting between 2,500 and 4,000 individuals to attend over the course of the week. Our goal is to sell out the majority of screening times, which we are in the midst of finalizing and should be posting soon. GTM: Why independent film? Why not do a festival that is built on mainstream product? BFF: Why the focus on independent films? What’s most important to us is supporting independent film and the filmmakers who create them. This is where original thoughts and talent are coming from, not Hollywood. The major studio releases are predominantly bland and predictable. They’re formulaic. Just look at all the remakes they crank out. Or all the junk geared for mall focus groups instead of real film fans. Do we really need any more TV shows made into movies? I don’t think so. To find true creativity, to experience an independent point of view, you have to look to the indie writers, directors and producers. They are the ones willing to go beyond the generic and formulaic to give us something more personal, and certainly more interesting. GTM: Where do you see the Festival in five years? BFF: Long-term, it’s too early to tell. 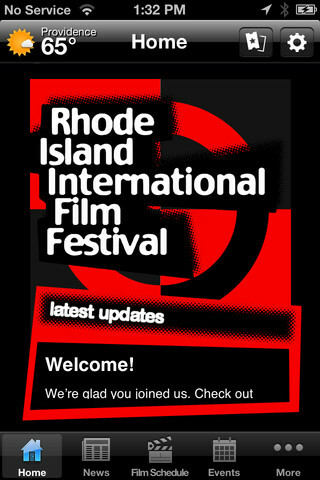 We have discussed the idea of bringing this event to other towns, perhaps as a kind of traveling Connecticut Film Festival that has a different host city each year. 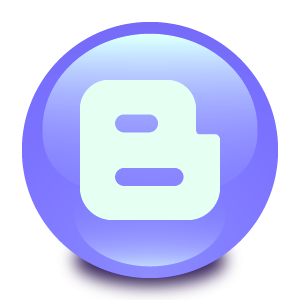 GTM: Any thoughts you'd like to share with our readers? BFF: Even though this will be the festival’s inaugural year, it is not to be missed. This is a six-day event that has something for everyone, from dazzling animation to highly original shorts, features and documentaries. We will also provide ample opportunities for you to meet and engage filmmakers, whether in a post-screening Q&A or at our Friday night gala fundraiser to benefit the Connecticut Food Bank. And for those of you who aren’t in our immediate area, please know we’re working on getting reduced rates on hotel rooms, so by all means, come, experience, enjoy!